@banasophia recommended I should create a journal on here. So… here we go! 😊 Hello! My name is Tyler (aka inland_reef). The ‘Tale of Three Tanks’ began with the purchase of a used 28 gallon Nanocube on April 9, 2018 (Just rounded out the 1 year mark!). 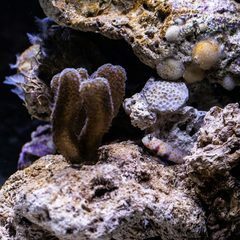 Like everyone else on this forum, I got addicted to saltwater aquariums 😂 This journal will talk about the evolution of my tanks, their setup specs and my ideas for future plans. While you're here, enjoy some eye candy of my current setups below. 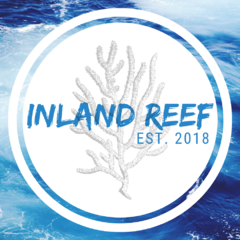 Ill try to make this a picture heavy journal, but you can see more pictures of my tanks on my Instagram page @inland_reef . I post daily updates there. What is this brown stuff on my coral? I just got my first coral, it’s spotted mushroom from live aquaria. I’ve read their instructions on placement and water flow, but I’m wondering, how do I know if these corals are happy/doing well? How do I know if I should move them to a different place in the tank? So I recently picked up a torch and a favia for my 12.5 gallon tank. After a while I noticed the torch lose color very quickly, and begin to not extend much at all, and now I’m starting to notice the favia lose its green color on the top, but it still hasn’t it on the sides which are shaded from the light, is this fixable? All of my other vitals are doing well, but as you can see below, these two seem to be struggling. 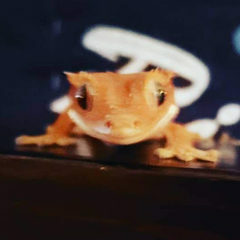 Hi all, First, a huge thank you to everyone on this forum that has been so helpful to me with all the posts I’ve made. Your advice has been crucial as I have been learning more about this hobby. I want ant to ask about lighting. A month ago I picked up someone’s used 32 gallon biocube that they had modified. They removed the canopy and replaced it with a mounted vivaspectra led light and a mesh cover. Recently ive been looking to change that setup since evaporation has been requiring me to add fresh water to the tank twice daily to maintain salinity. It’s impractical to have to use the RODI machine that often and so I built myself an acrylic cover to replace the mesh lid. I want ant to know if this will affect the light that reaches the tank. Does anyone have experience/ is it a good idea to run light through an acrylic panel and still grow healthy corals? aditionally the light is adjustable and can dim the 10k whites and actinic lights independently and im trying to decide what ratio of the two will be best for growing my corals. A few montipora, some acans, a couple chalices, and Zoas are the corals I’m currently growing. Assuming I have the right placement for each what spectrum of light is ideal to help them grow? 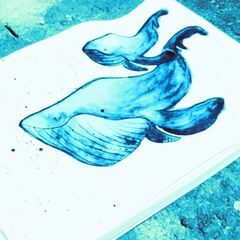 More blue or more white? 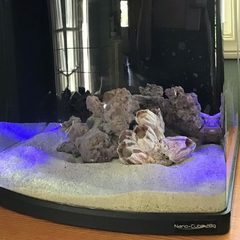 Will the acrylic lid affect how this ratio reaches the corals? any advice is deeply appreciated! Acan Echinata: How fast does it grow? Hammer coral not feeling so well? So, the last couple of days, my Euphyllia is acting up a bit. I am not sure if it is not feeling well, or if it could be splitting or perhaps something else I am not aware of. What do you guys and girls think/suggest? This morning The afternoon As for parameters, only thing that is slightly elevated is my phosphate, since I am trying to balance out my chemistry some more. Other then that, my latest paramaters, before the water change last monday. ﻿ Ammonia﻿: 0ppm Nitrite: 0ppm﻿ Nitrate: ~10ppm Phosphate: .35 PH: 8.1-8.2 dKH: ~10.5 Calcium: 460 Salinity: 1.025 Temp: 77 Could it be preserving energy? Is it dying? I don't see any little critters, nor brownish goo, or zooxanthellae being expelled or whatsoever. It's been doing this for about 3 to 4 days now. Did a 25% waterchange on monday, to see if that would help out, so far it seems not to. 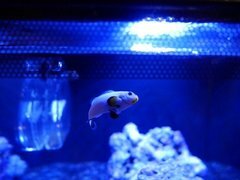 Other corals and livestock seem to be ok and active and I haven't changed anything particular lately. Curious what you guys think could be going on 🤔. Hello everyone, I want to learn about some ways in which a coral might bleach or die. I am particularly interested in bleaching/death rates for each reason. As an example, I believe bleaching due to low light intensity might take a couple days while excessive light intensity might kill a coral much faster. Does anyone have a refference for all possible death rates of corals? Although I'm interested in sps corals, information on every coral would helpful. This could help use better make an idea on why our corals might br struggling. Thanks! Hello fellow reefers. I may have a somewhat ethical question for you. Recently I bought a gorgeous, small, piece of Euphyllia paraancora. Being curious where it came from, I contacted the retailer. A well known, European store. 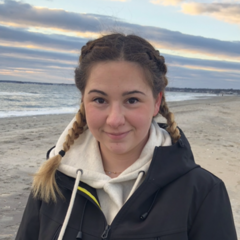 They were very helpful and honest in there answer, saying that the coral came from the sea, instead of a coral farm or aquacultured frag system for example. 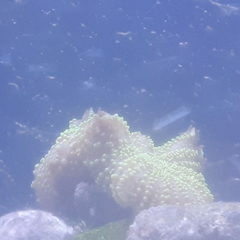 Now, I am very new to the hobby and guess I have to get used to the idea of corals gathered from the seas. However, I do care greatly for our oceans and their fragile ecosystems and I am wondering how the Nano Reef community thinks about this. The thing is, being so new, I have not met many fellow reefers yet to swap or buy frags. I have visited several (inter)local LFS's and I can't say that their livestock and aquariums looked healthy and well cared for. The online retailer on the other hand received many great reviews and my experience with them so far is really great. The packaging is awesome, everything I ordered was alive and well and they were very helpful and responsive as well. So, here is a penny for your thought(s) 🙃, please let me know how you think about this and if I am overly concerned or if my worries are justified. I have had a healthy large toadstool now for many years. This same toadstool I thought was going through its normal shedding, but it seemed to be taking longer than it normally does. I noticed a round brown spot developed almost overnight right near the center. As I normally do daily, I was blowing off the rocks with the baster and decided to blow what seemed to be a brown film on the toadstool. The tissue in the area was so soft that it blew a hole directly through the outer skin making a hole!! What is going on?! Never seen this before and need to know what I need to do. All other corals, including my sps are all fine, but it. See pic. My Biocube 32 has been cycled for around three weeks, I added the first members of the CuC crew two weeks ago, and the first fish, a royal gramma, several days ago. 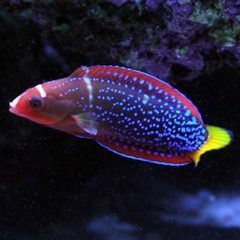 I want to buy my first, hardier coral soon. Can I do it now, or would it be best to wait? Also, what would people suggest as a first coral? I've looked at green star polyps, mushrooms and others, but I'm curious what others would advise.